A survey of civil servants working at the education watchdog shows a surge in approval of Ofsted’s leadership and ability to manage change this year. 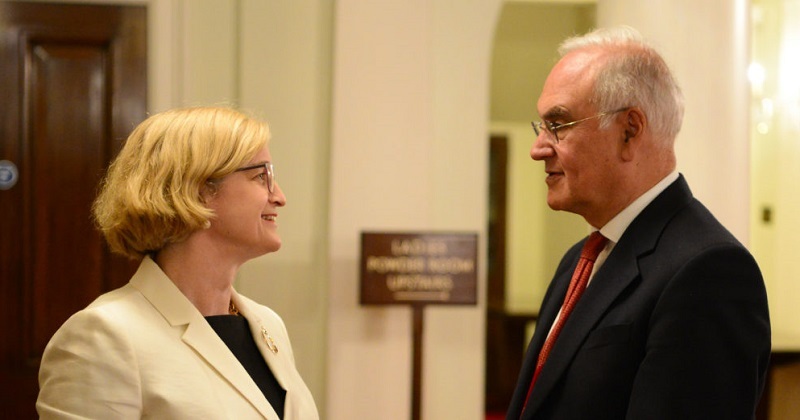 The 2017 civil service people survey has offered the first glimpse into life at the inspectorate under Amanda Spielman, who took over as chief inspector from Sir Michael Wilshaw in January. Overall, 63 per cent of staff had something positive to say about the organisation’s leadership and change management, up six percentage points on last year. The biggest rise is in the proportion of staff who feel the watchdog’s top leaders have a “clear vision” for the future of Ofsted, up to 70 per cent this year, a 13-point increase. There have also been rises in the proportion of staff who feel change is managed well at Ofsted (up eight percentage points to 51 per cent) and those who have confidence in the decisions made by senior managers (up seven percentage points to 70 per cent). The proportion of staff who felt that when changes are made at the watchdog, they are made for the better, is also up seven percentage points, to 45 per cent this year. Today’s survey results also show significant rises in other areas. For example, 82 per cent of staff said they had the tools to do their job effectively this year, up five percentage points on last year. Three quarters of employees also reported feeling proud when telling others they are part of Ofsted, up five percentage points on 2016. The proportion of staff who would recommend Ofsted as “a great place to work”, also rose by five percentage points to 63 per cent this year. Sir Michael caused huge controversy with his outspoken comments about the FE sector during his tenure as chief inspector. But ever since she was introduced as Ofsted’s new boss, Ms Spielman has vowed to “reset” the relationship between the education watchdog and colleges.